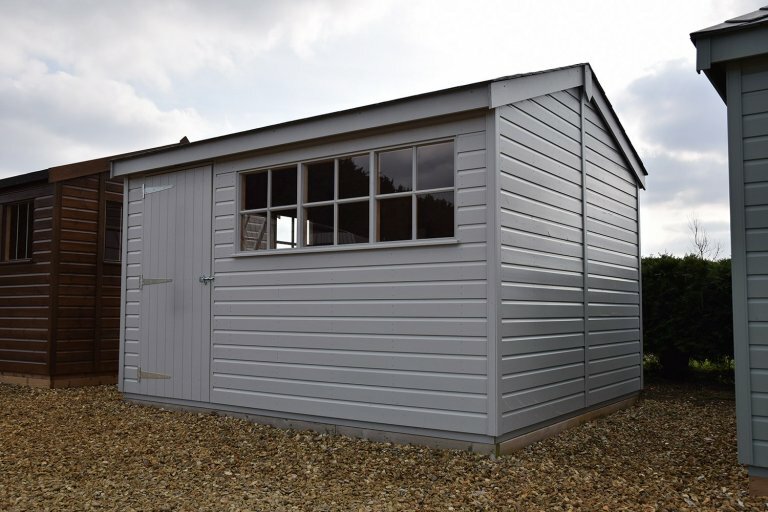 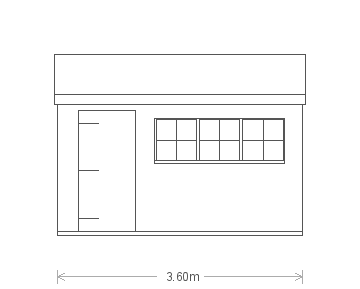 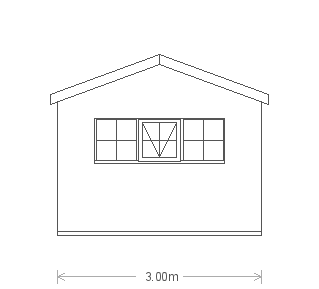 This handsome Superior Shed is the perfect choice for those seeking a practical, high-quality building that doesn't compromise on aesthetic. 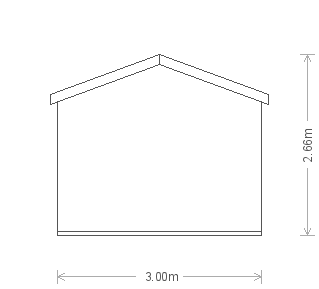 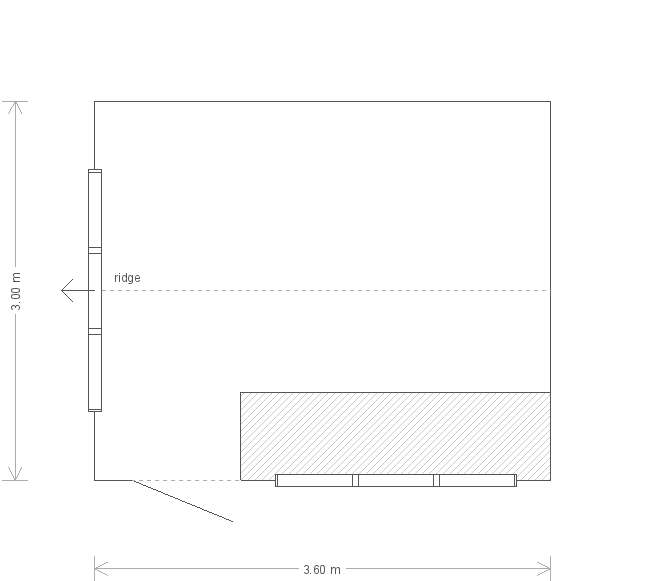 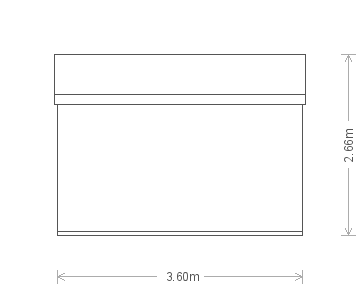 The shed measures 3.0 x 3.6m and has an apex roof covered in traditional grey slate composite tiles. 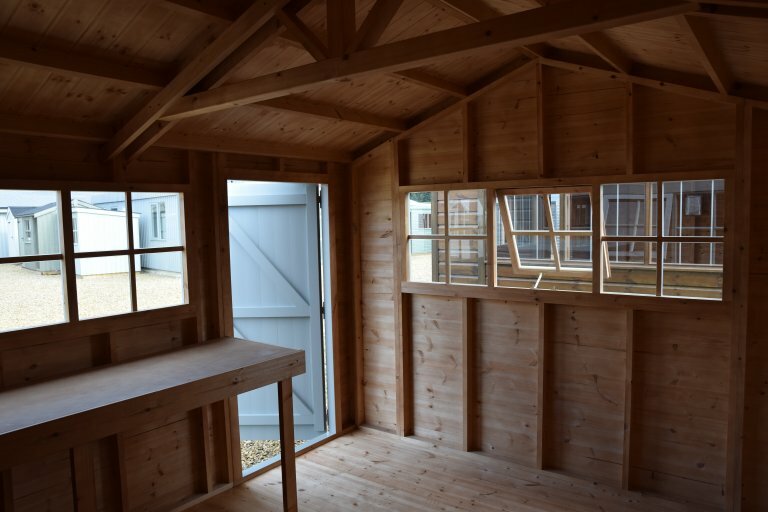 Internally there is a sturdy workbench installed as a place to pursue projects or store things, and several opening Georgian-styled windows for ventilation and natural light. 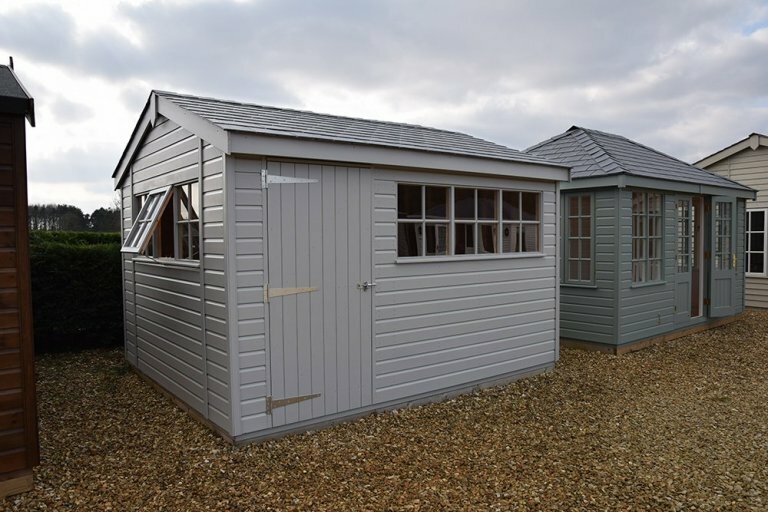 The exterior is clad with smooth shiplap for a contemporary look and painted in the popular opaque shade of Pebble, a stunning colour that merges well with any surroundings.